A visit to Malaysia really entices your senses and in some way, I think it is similar to what foreign tourists experience when coming to South Africa. Remember how proud we were of our title as the Rainbow Nation? It seems, however, that somewhere between corruption and populism, we have forgotten how special cultural diversity can be. Malaysia reminded me this week. Explaining the origin of Malaysia’s cultural diversity is just as tricky as trying to explain how South Africa’s diversity came about. Some of it is a natural evolution, some politically driven and some trade related (read more), but in a simplified way, Malaysia today has a Malay culture, a Chinese culture, an Indian culture, a Eurasian culture as well as the indigenous cultures. While cultural diversity will always be a challenge when it comes to unifying a nation, it is often the variety and differences that make it interesting and attract tourists. Malaysia is therefore one of the world’s most popular coastal tourism destinations. One of the best ways in which to celebrate diversity, is food. Without being too philosophical, I think food fusion really is an example to the human race of how we can be even more amazing when we work together. After experiencing the exceptional diversity in Malay cuisine, I thought about how culinary diversity can actually teach us a lot about cultural tolerance. Because of the various food influences, Malaysia’s culinary culture is one of the most exciting in the world. Malay, Chinese, Indian and Javanese flavours combine for aromatic and exotic tastes. 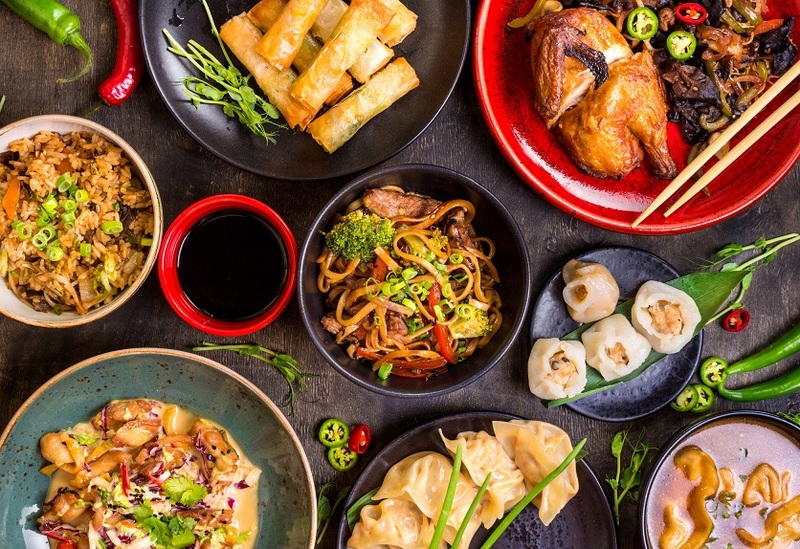 As can be expected, the culinary scene evolves around spice, rice and noodles in combinations with meat, vegetables and often, tropical fruit. The ‘national dish’, for instance, is called Nasi lemak, a popular dish of rice steamed with coconut milk and wrapped in pandan or banana leaves. South Africa’s Cape Malay food originates from Malay cuisine (read more) with its roots in Malaysia, Indonesia, Singapore and Brunei. Today still, there are quite a few similarities between Malay and Cape Malay cuisines: both are rich in herbs and spices; coconut milk is one of the main ingredients; usually spicy; meat is usually stewed with a thick gravy; and fried fish and seafood are usually seasoned with turmeric powder. There is also a Javanese influence in Malaysia with sour, sweet, and spicy flavours, something we also see in Cape cuisine. (read more) Similar to Malaysia, culinary fusion also happened at the Cape. European influences and Southeast Asian flavours combined and had to be adapted to local ingredients. This fusion resulted in the unique culinary culture of the Cape Winelands. Today still, dishes with a strong Malay influence, such as bredie, bobotie, sosaties, koeksisters, etc. can be found on South African tables. Eastern cuisine has always been a challenge for wine pairing and the exceptional fusion that is Malay cuisine with its strong and aromatic flavours, does not make it any easier. Curry in general needs special consideration when it comes to hotness, the style of the curry and the condiments or combination of little plates on the table. I have always believed that the challenge of pairing wine and Eastern cuisine has a limiting effect on wine’s popularity in these areas. Compare this to the West where food styles are much more accommodating to wine and have in many instances co-developed in wine-making countries. Being well-informed about food and wine combinations is of course also important. Making confident choices are only possible when you know the basics and I think Jeannie Cho’s guide below, is exactly what one need to get your wine and Malay food combination right! Fusion food shows us that there can be harmony in diversity and in the same way, finding a harmonious way between food and wine can also guide us in bridging the cultural divide – see my comments in italics below. The typical red/meat and white/fish rule does not work due to the varying condiments used in Malaysian dishes. For instance, belacan, sambal and tamarind can easily overpower a wine. Choose a wine to work with the strong flavours present in the dish instead of matching it with the type of meat used. Choose a wine that is high in acidity and refreshing to cleanse the palate so you can enjoy another mouthful of beef rendang or nasi lemak instead of letting the spices sit and fight for attention with the wine. Chilli + soy sauce + tannins = no. Tannins in a wine will prolong the taste of chilli in a dish. Put the two together and they will simply exaggerate each other, leaving you overwhelmed. Soy sauce and tannins are also a big no-no. Opt to match quality with quality, intensity with intensity, or seek contrasting combinations. Match quality ingredients with high end wines, or an intensely flavoured dish with a bold wine. Alternatively, seek to contrast: serve a light wine with an intense dish or a full wine with a humble dish. However, having said that, there can only be one leader. If you have to choose between highlighting the dish or the wine, let the wine lead. If you enjoy the wine, use less chilli in the dish. Achieving a perfect pairing is always a work in progress. Before the course, taste the wine on its own to test and understand the integrity of the wine. A fail-safe go-to wine to bring to a Malaysian-style potluck party would be chardonnay or rosé. An oak aged chardonnay and coconut milk is a winning combination. Jeannie suggests: Nasi lemak and chardonnay.